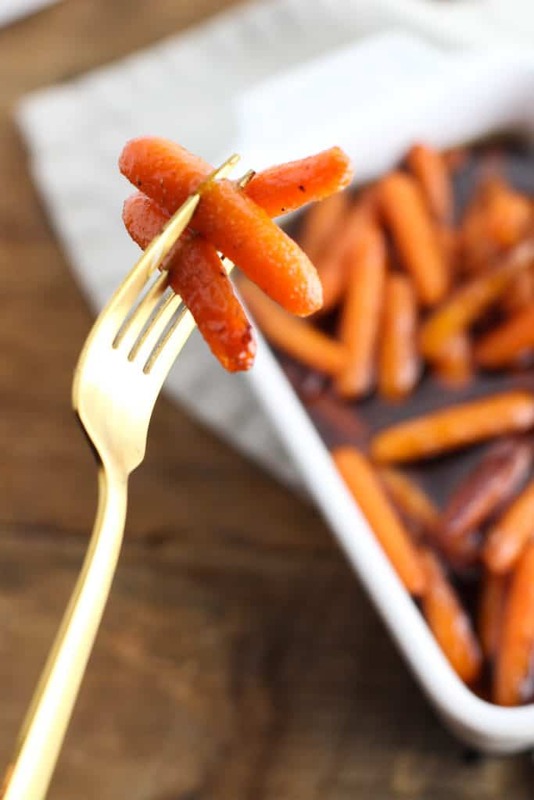 These great Honey Braised Carrots are coming at you just in time for Easter! They’re full of flavor and super versatile, as you can add different flavors that you like. I love having lots of different options at Easter to be able to mix and match as many flavors as possible! 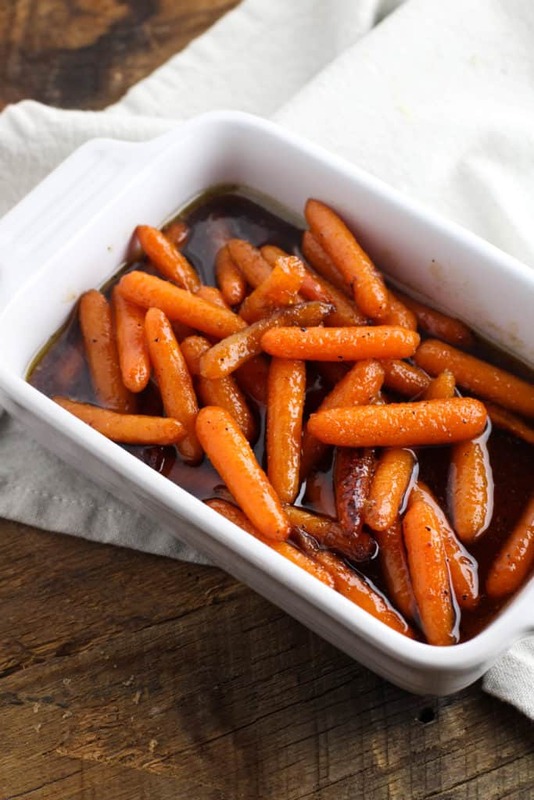 These Honey Braised Carrots are simmered in butter until they’re tender then a honey and brown sugar sauce is added on top to bring in all the flavors. It’s a great rich sauce that cuts a lot of the savory side dishes that you’ll have around the rest of the table. I add in a little cayenne just for a kick to cut all the sweetness. You can leave that out if spicy isn’t for you or your guests! Be warned, the longer it simmers, the bolder the flavors! What I love even more about this dish as a side for Easter is that it doesn’t take up the precious oven space! Just set it on a back burner and forget about it. Add the sauce and you can keep it on low until dinner time! Just don’t actually forget about it and burn the carrots! 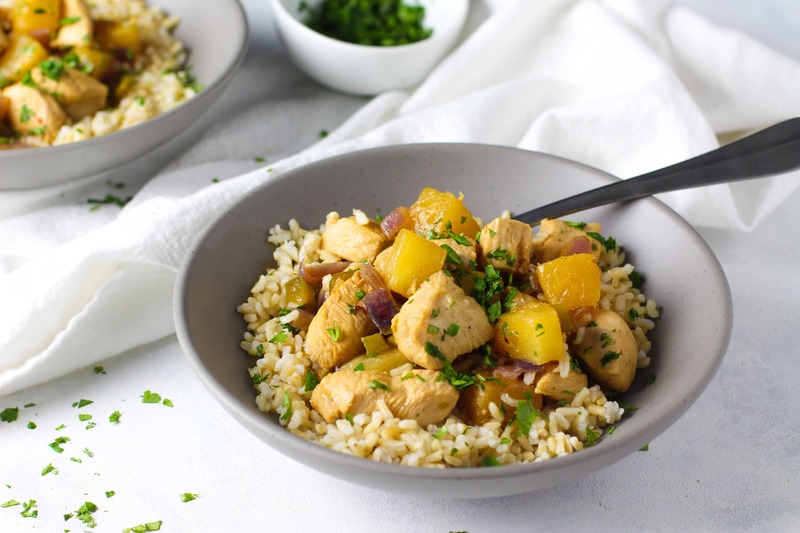 It’s a very versatile recipe so you can swap out the carrots for squash or brussels sprouts if you’re looking for something different. I’ve done something similar with butternut squash and I’ve had a hard time finding a better way to eat it! Be sure to add this to your Easter menu! If you like these you’ll be sure to like these Creamy Garlic Mashed Potatoes or this Green Bean and Bacon Casserole! 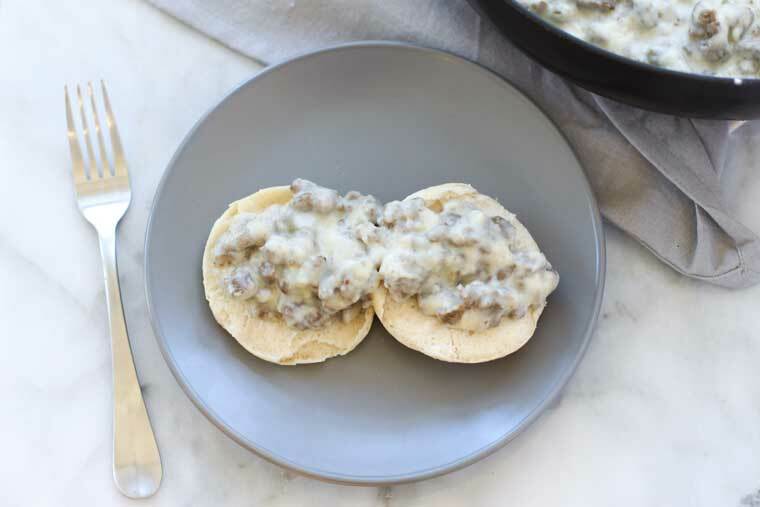 They’re two of my favorite recipes for Easter side dishes! These Honey Braised Carrots are the perfect side dish for Easter! Full of flavor and so easy to make. They’ll be sure to be a crowdpleaser! 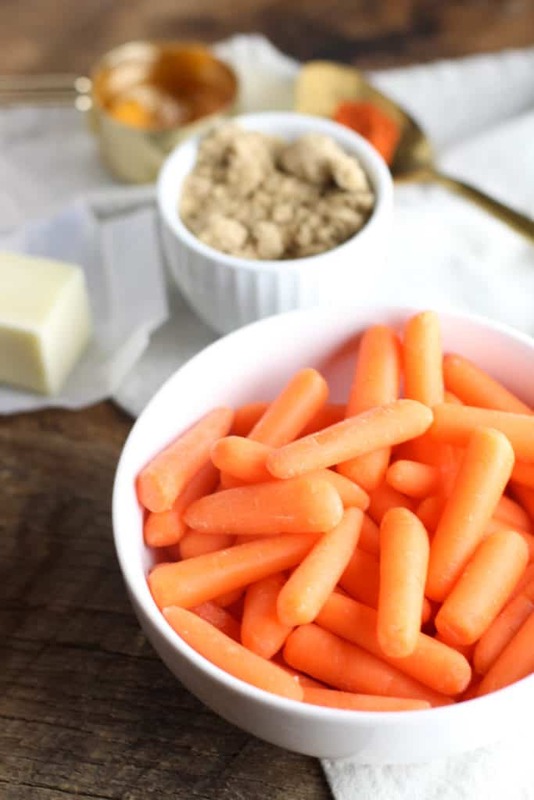 Melt butter in a medium sauce pan over medium heat and add carrots. Cover and let cook until tender, about 20 minutes. 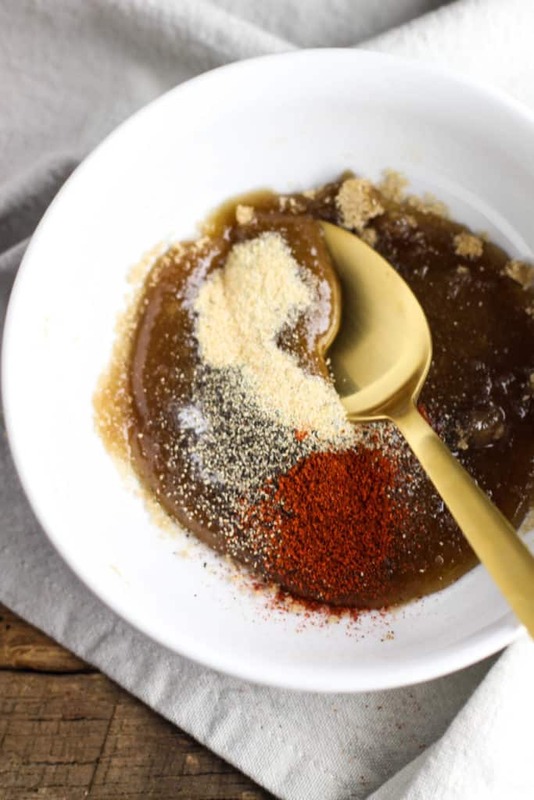 While carrots are cooking, mix together honey, brown sugar, salt, pepper, garlic powder, and cayenne. 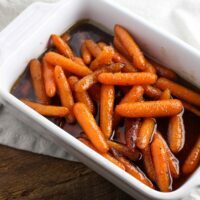 Once carrots are tender, change temperature to low and add in honey mixture. Let simmer 5 minutes to thicken with cover removed.